Brett Edwards specializes in credit analysis, structuring and financial modeling of proposed financings. He also provides support and assistance with the preparation of marketing materials and proposals, general research and drafting legal documents. 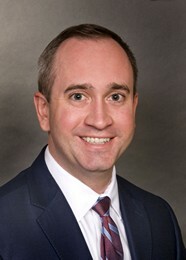 Brett joined HJ Sims in 2010 and is located in the Austin, Texas office. He earned his Bachelor of Business Administration degree with a Major in Finance and a Minor in Management Information Systems from the McCombs School of Business at The University of Texas at Austin.